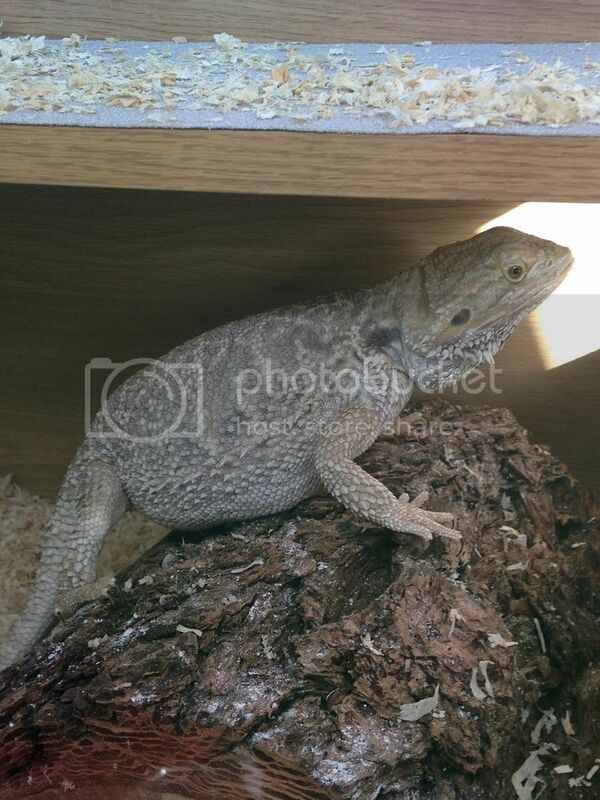 mybeardeddragons.co.uk • View topic - Pregnant beardie? Post subject: Re: Pregnant beardie? If she's hardly eating, pooing small amounts, fat and trashing the viv then she probably is gravid. Unless you're well prepared andable to look after up to three clutches of around 20~25 eggs at a time then the best thing to do is to freeze the eggs as soon as they're laid. There is no market for normal babies and the upkeep until they're around 8 weeks old (shouldn't be sold under this age) means you will make a massive loss financially. For the moment you'll need to provide some sort of laying box - I use two kitty litter trays bottom one full of damp vermiculite, the top one clipped to the bottom with a hole cut in one end to form a cave. I place this at the cooler end of the viv where it'll reach around 28C and usually there'll be no trouble with laying.